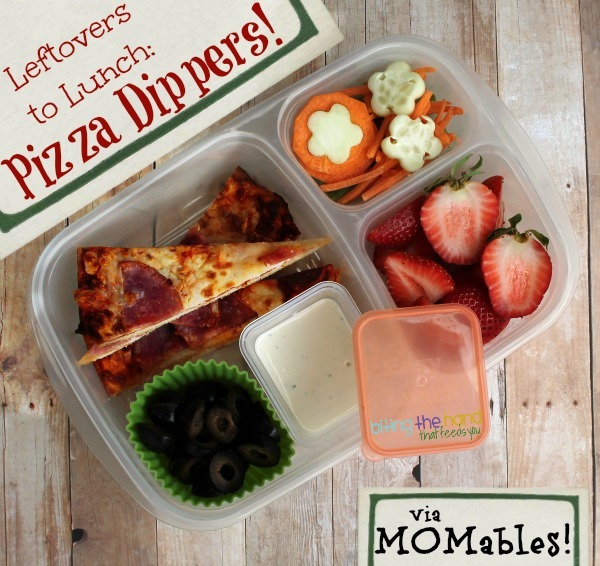 Biting The Hand That Feeds You: MOMables Monday - Leftover Pizza Dippers! 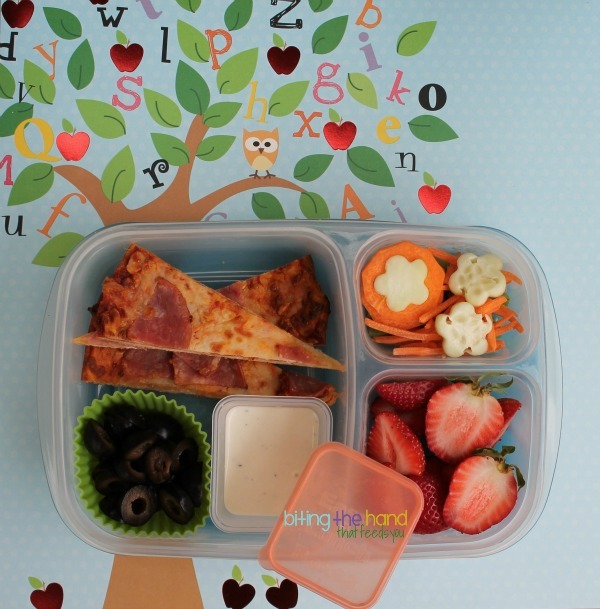 MOMables Monday - Leftover Pizza Dippers! For us, summertime is the best time to try out new foods for lunch, because I'm there to answer questions and can see their reactions in person. So it's the perfect time to test out some different stuff from my MOMables lunch menu subscription! That being said, I'm still relying on old favorites, like the MOMables Pizza Dippers, until I get my summer mojo! Little Z's favorite pizza is just black olives, but we only had ham left over. So I enticed her to eat the leftover "wrong" pizza with Ranch dressing in a Mini Dipper plus some loose sliced olives. I used a flower veggie cutter to cut some cucumber and carrot flowers, but she doesn't like cucumber, so I didn't have high hopes.